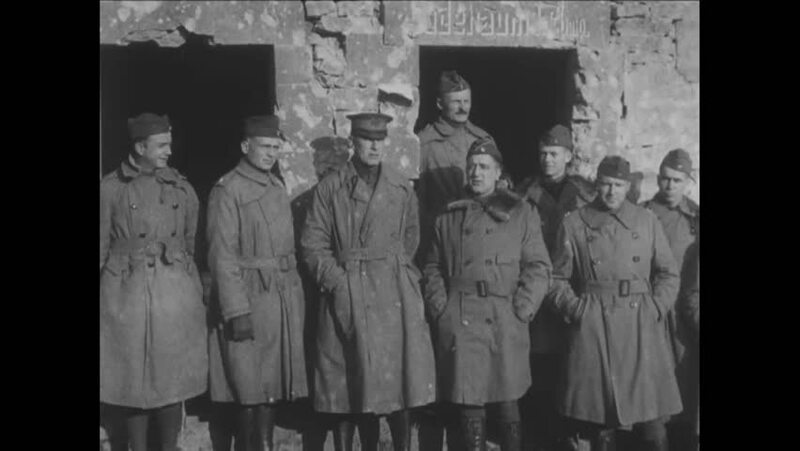 CIRCA 1918 - Generals Aultman and Summerall pose with their men in Souilly. 4k00:171930s: UNITED STATES: nun unwell in bed. Nun stands by bed of sick lady. Nuns pray by bedside. hd00:32CIRCA 1918 - Japanese officers review 17th Field Artillery batteries in the Marbache Sector in France in World War 1.
hd00:30CIRCA 1918 - Men of the 319th Field Signal Battalion eat; officers chat.